New Delhi : Accusations are piling up against the recruitment process in government hospitals at the capital, with many senior doctors alleging instances of manipulation and favoritism taking place. A recent report by the DNA points out to a case where allegedly a doctor was appointed for a senior resident post in the blood bank department of the Lok Nayak Jai Prakash Hospital without, apparently being present for the interview process. The interview for the post was held on the 10th of October, 2016, where 8 candidates were supposed to be interviewed. However, only two candidates turned up and went through the said process. Ironically, when the results of the interviews were announced, it seemed that the department had selected a candidate who did not even turn up for the interview. “This is a major goof up on the part of the administration. How can she get a job when she did not appear for the interview?” said a senior doctor from the hospital on the condition of anonymity. Not only this, the official procedure that is followed for the appointment, first requires the candidate to submit their documents which then undergo a process of being verified by the Delhi Medical Council ( DMC). Only then can the candidate go through the final round of being interviewed by the doctors. However, according to the records , the candidates documents have been verified only on October 13, three days after the interviews took place. “There is no possibility that any candidate can submit the documents later. This is a gross violation of the rules,” said another senior doctor from the hospital. This is true.Even if the interviews happen they happen only for formality. Some years back l wanted to do SR-ship in a govt.hospital in delhi. I appeared in many interviews at various places but could not get selected. 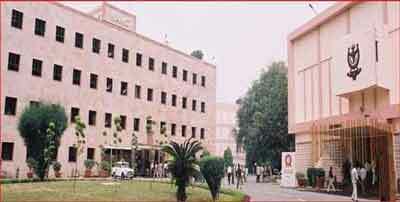 Then I appeared in the interview for SR post in this prestigious govt medical college at Delhi. There I met the HOD in the interviewing team. I thanked her for their practical course that they had conducted one year back for MD/DNB final year students. It had genuinely helped me in clearing my DNB practical exam in first attempt. She very lovingly told me that this time she won\’t be able to help me as they have already decided the candidates and interview was just a formality. I am not revealing the name of medical college and HOD as I am indebted to them for their practical course. Since then I lost faith in govt system and never applied for any govt. job. I am doing well in private.May be that was a blessing in disguise for me.